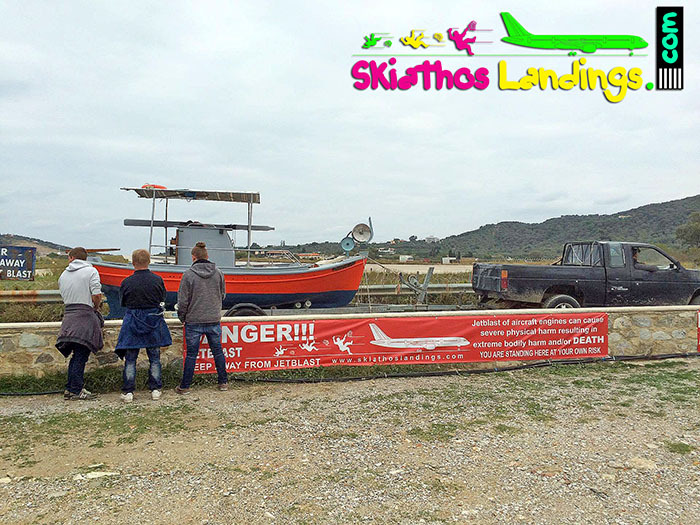 One more summer season has come to an end at Skiathos airport. Last flight for summer 2016, SAS-7463 departed at 06:26LT (0326Z) from Trodheim, performing the longest regular flight of 2.826m/1.756nm to Skiathos, operated by Boeing 737-700. 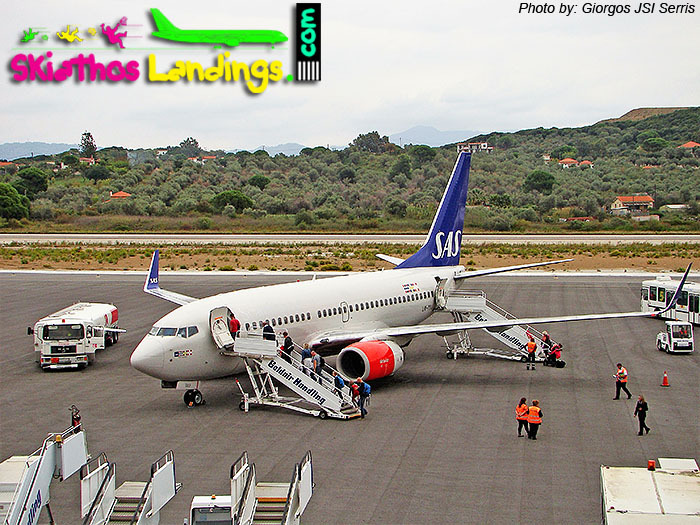 Scandinavian Airlines B737-700, registration LN-TUJ, landed on runway 02 at Skiathos airport at 11:05L and that was the last arrival of charter flight in the island for year 2016. Return flight, last take-off at 11:49L, was SAS-7464 with destination Oslo. Just for history, last flight for summer 2015 was the same flight, SAS-7463, but on October 10, 2015. More details for the last flight of 2015. (above) Boarding of last passengers to fly back home. 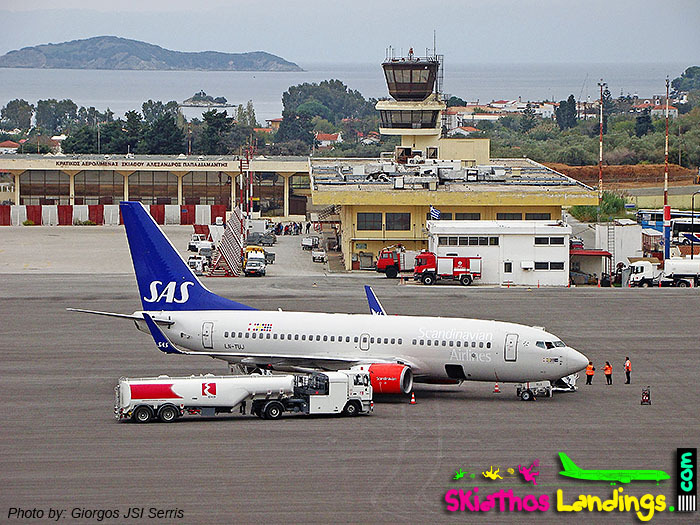 (above) ervicing of last charter flight for 2016 on new apron at Skiathos airport. This is the beauty of Skiathos airport.